If you have followed me for any time at all you will know my affinity for gorgeous pillows! 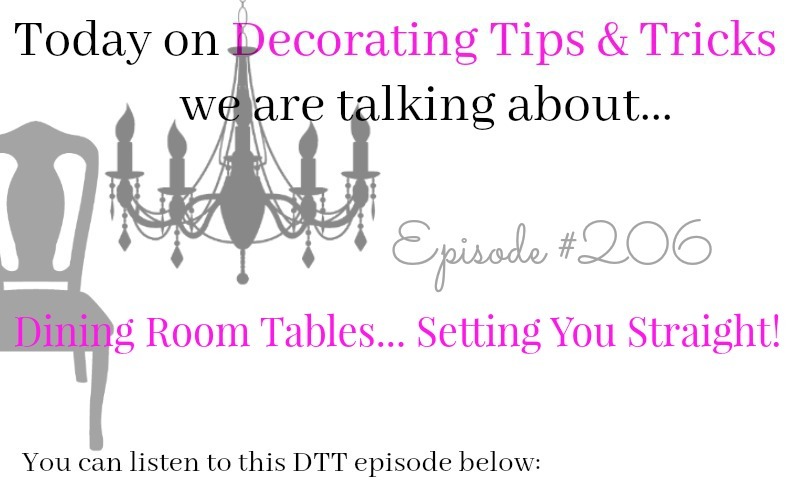 Today we are talking about PILLOW INSERTS and how to choose the perfect ones for your decorative pillow covers! 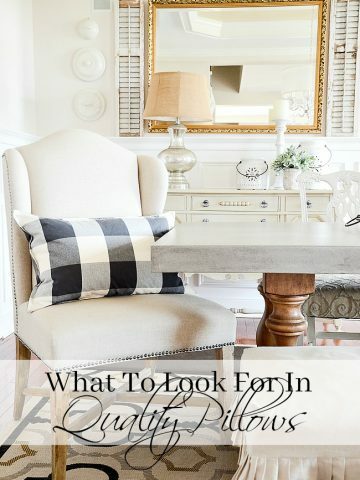 I think you might be surprised how important the right insert is to give your pillows a plump and pretty look! 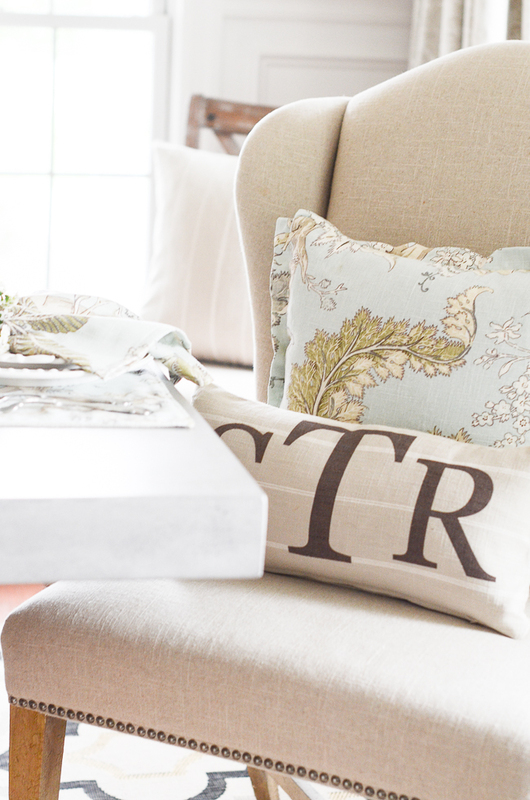 Now let’s talk about my favorite decor topic… pillows! Pillow covers are the best way to go when it comes to collecting pillows. When you want to change up your pillows you can take off the covers and store them much more easily than pillows that cannot be separated from their cover. 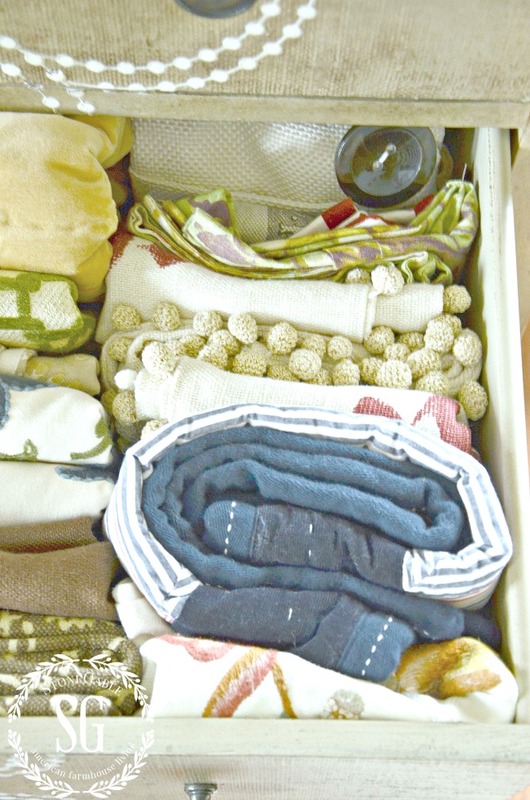 Here’s where I keep my “downstairs” pillow covers… in the drawers of my Curlacue chest in the living room. Pillow covers fold up and can easily be stored until you need them again. A gorgeous pillow is not only about the cover though! It has a lot to do with choosing the correct insert to go inside! There are just a couple secrets that will make your pillow covers look plush and full. 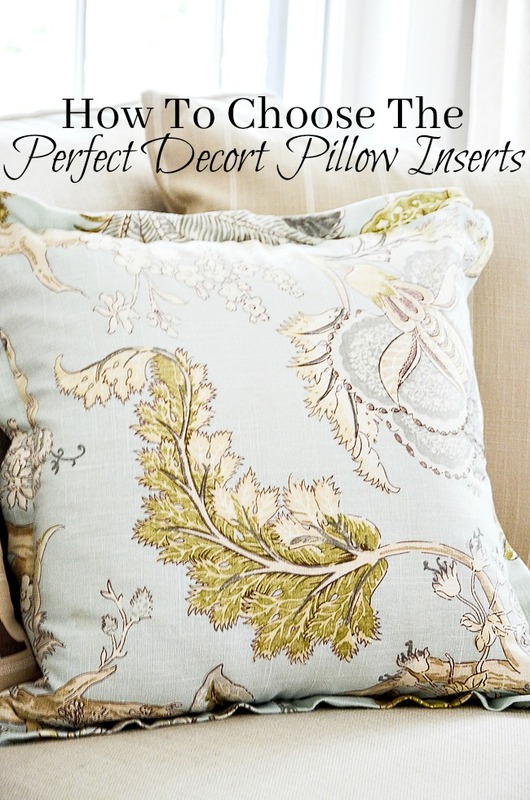 My favorite type of decor pillow insert is made with feather/down. I like them because they last for years, are easily fluffed up and look gorgeous in a pillow. These pillow inserts are strictly for use inside. If feather/down pillow inserts get wet and do not dry properly they will smell horrible and be ruined! 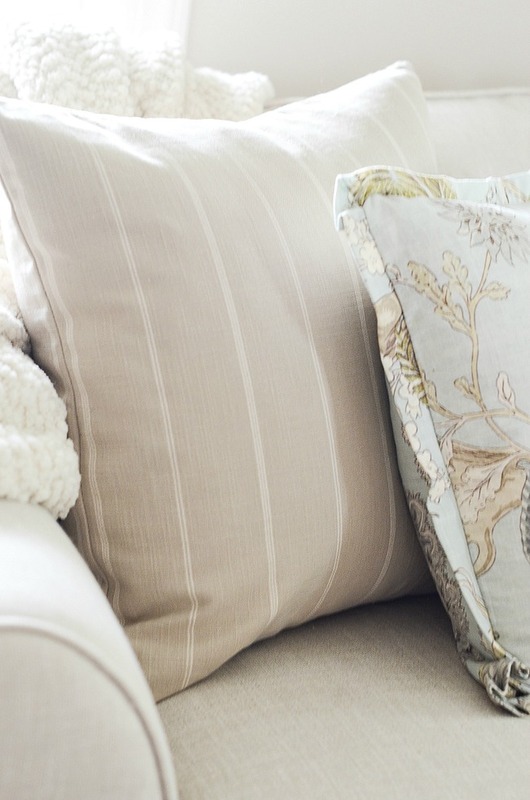 Opt for polyfill inserts for outdoor pillow covers. The other big designer secret is correct sizing. Did you know a pillow insert should be 2 inches larger than the size of your pillow cover? So if you have a 20 inch pillow cover you will need a 22 inch pillow insert to make it look fabulous, fat and fluffy! Now you know what designers have been using to make their pillow look so attractive! We have fabulous pillow inserts at a great price at our DECORATING TIPS AND TRICK SHOP in stock now! See them HERE. 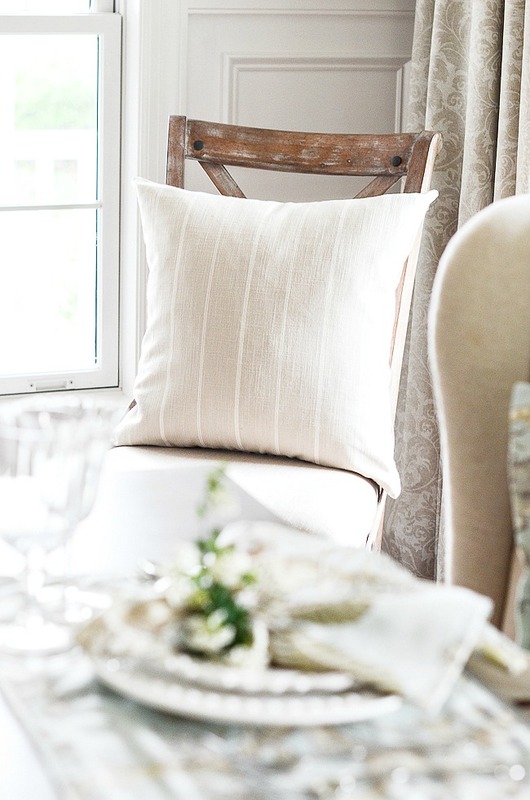 Here are some other tips for keeping those down pillows looking their best. When stuffing a pillow cover with an insert make sure the corners of the insert reaches the corners of the pillow cover. To dust, shake pillow covers and inserts outside to get rid of surface dirt and dusk. Please visit our DTT shop. We have some darling tea towels on sale today! And look for this “SPA” pillow collection coming soon! Love all of your pillows..and yes, I find the best rule of thumb is to go 2 inches larger than your pillow cover for a great full pillow……Love your pillow drawer….Nice to see how others store their pretties! !…Have a fabulous weekend Yvonne!!! Yvonne, I noticed a beautiful crewel type pillow cover in your stash in the drawer! It has a rosy coral flower on it…You have been hiding this one!!! I have never seen it before. When can you showcase it??? THANKS for the support Bunny! Thank you! Now I know why the pillows in all the stores look so great and mine look so frumpy! I never knew about using a larger insert. Great info! I am looking for the long lumbar pillows I see on beds in magazines. 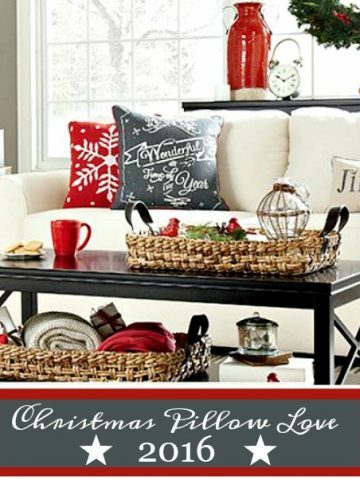 Love the look but do not find them for sale.Any ideas from my favorite decorator and pillow lover? Thanks Yvonne. Hi Kathy, many of these are custom made. 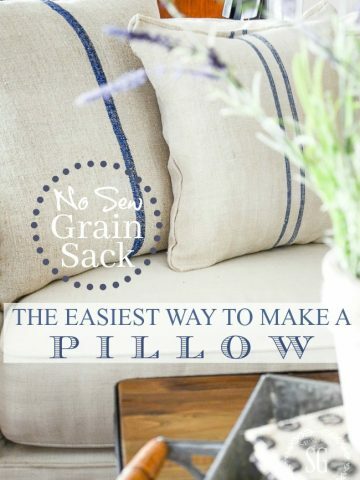 I am going to do a very easy lumbar pillow diy this summer. Look for it. Great pillow tips!! 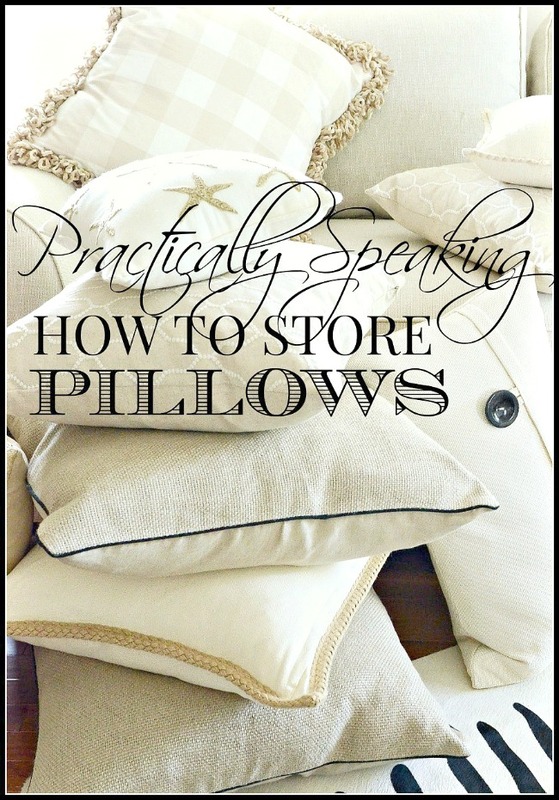 I wondered how you stored all you beautiful pillows… now I know you just store the covers!! Thanks for a very helpful post! I did know the inserts had to be larger than the cover which is so important! I too, love pretty pillows and especially the pretty shams for the bedroom. Mine just never looked pretty and full like the picture on the wrapper or the display in the store until my niece told me the secret. She worked in an upscale department store and shared how they made the displays look so perfect — cotton batting. 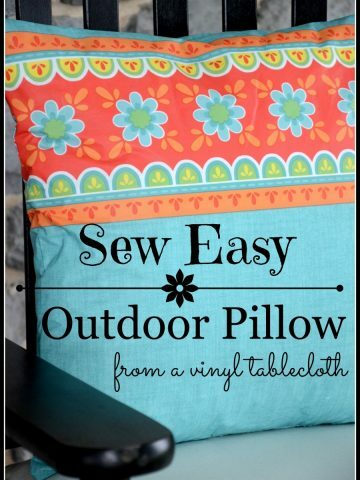 Insert your pillow and then stuff the batting into the corners and along the seams until they are tight and firm. Magic! Perfect pillows! What a fabulous tip, Sara! Thanks for sharing with us!